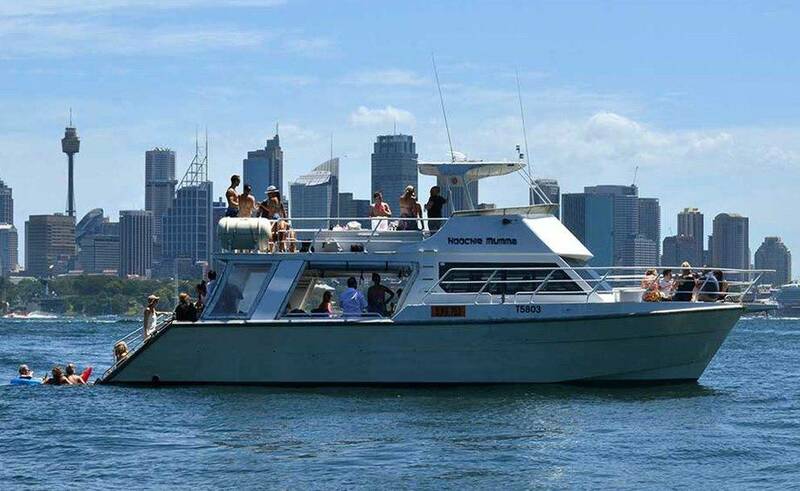 The gorgeous 50 power cruiser Hoochie Mumma is a great party boat, and just as much fun as her name suggests! Bucks parties, hen nights, anniversaries, whatever the occasion. 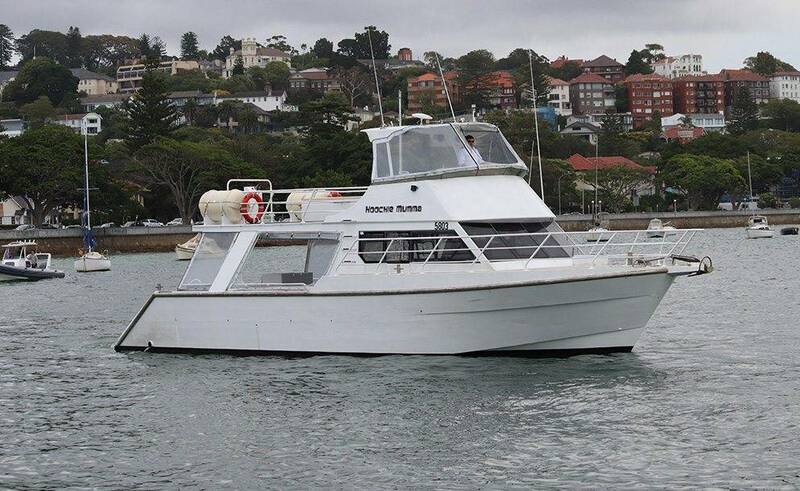 So Hoochie Mumma is just the thing for gatherings of up to 45 people. There’s plenty of room on the large sun deck for catching some rays while taking in the views. While the lower deck has plenty of comfortable seating and sides that roll up to let in light and air on sunny days. These sides can, of course, be rolled back down again if the wind picks up a bit! 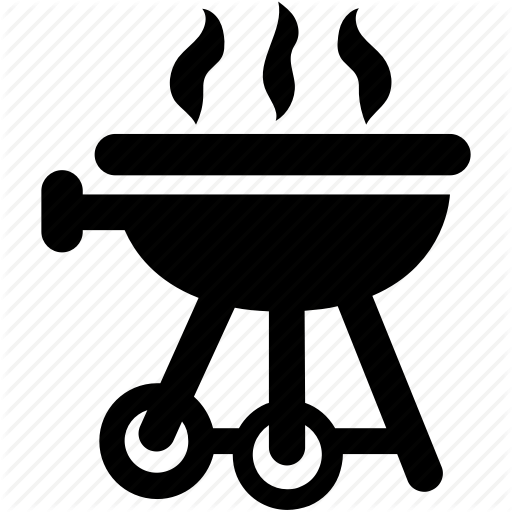 Hoochie Mumma has a large BBQ which you can use at no extra surcharge, so you can bring your own food. 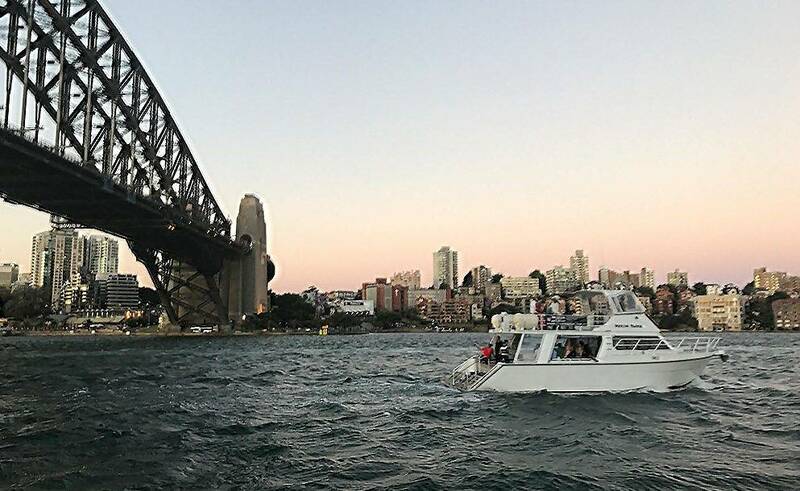 Why not venture a bit further than your backyard and book a boat for your next birthday barbie? There are eskies on board so you can store and have easy access to beverages. No one will have to expend much energy or move very far to find a drink to toast you with. The top of the range sound system has iPod connectivity so you can plan your own playlist. You can choose the tunes you know will get everyone moving and ensure your party goes with a swing! There’s a high end large flat screen TV. So the Hoochie Mumma would be the perfect choice for getting everyone together to enjoy a big sporting event. There’s a DVD player as well, so let the kids work off some energy with a swim and a splash about then happily watch a movie while you catch up with your friends. The built-in staircase descends right into the water, perfect for swimming or snorkelling. This Hoochie Mumma really brings the party so let her make your event a spectacular success!